What is the school code for The University of Northwestern Ohio? Yes you should. All Federal & State financial aid grants, scholarships and loans require that you reapply for financial aid every year. I am a current/returning student, how do I apply for the FAFSA (Free Application for Federal Student Aid)? All current/returning students should reapply for the FAFSA online at www.fafsa.ed.gov. When should I reapply for financial aid for next year? For the 2019/2020 FAFSA award year, you can submit your FAFSA as early as October 1st, 2018. Applicants will be using their 2017 income tax information. However, for maximum consideration and to avoid late fees, please be sure to file by April 1, 2019. The current 2018/2019 award year requires the 2018/2019 FAFSA which uses your 2016 income tax information and it is currently available to complete. I DO NOT REMEMBER MY FSA USER ID. HOW DO I RETRIEVE IT? In order to retrieve your FSA User ID go to the FSA User ID Portal. You can find this web page at www.fafsa.ed.gov. Click on edit my FSA ID, and you can begin your retrieval process. When the Department of Education receives a FAFSA application, the application can be selected for a process called Verification. Approximately one out of three students are randomly selected for verification by the Department of Education. This process ensures that students are receiving correct financial aid awards and prevents students from having to pay back or return financial aid as the result of an incorrect award. Schools receive notification of a selection once the FAFSA is received. The school is required to request documentation from the student for the verification process. Once all documentation is received, data is compared with the FAFSA, and corrections are required if discrepancies are found. Examples of required documentation are: Federal Tax Return Transcripts (must be ordered from the IRS), W-2 copies, Worksheets collecting household information and untaxed income, Child Support statements, etc. Verification is a normal process that UNOH is required to complete on behalf of the Department of Education, and in some cases, it may be challenging to complete. Please know that our office is ready and willing to assist in any way we can. Please make sure to contact us at 419-998-8890 or email financialaid@unoh.edu with any questions or concerns. How many hours do I need to take to receive aid? To receive aid as a full-time student, in the College of Business, Occupational Professions, and Health Professions you must take 12 hours per term. In the College of Applied Technologies, you must take 6 hours per term. For part-time, you must take 6 hours minimum in Business, Occupational Professions, or Health Professions, or 3 hours minimum in Applied Technologies. Please note that the aid you qualify for as a part-time student may be significantly less than that of full-time. What if my family's financial circumstances have changed? If the financial circumstances in your family have changed substantially, you may have your financial aid eligibility reviewed. Contact the Financial Aid Office to discuss if such a review is possible. 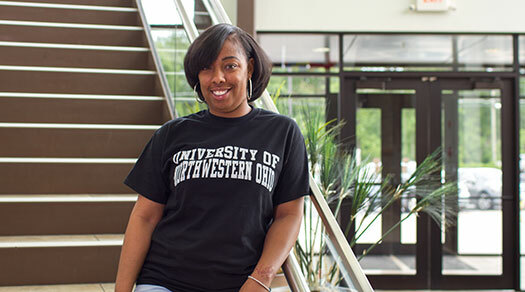 The University of Northwestern Ohio offers many UNOH sponsored scholarship opportunities. In addition, there are many outside scholarship opportunities available. For outside scholarships, please note that Fall and Winter are peak scholarship application processing times, as deadlines are typically in late Winter or early Spring. For a list of outside scholarship options and opportunities, please click here. HOW DO I SEE MY AWARD NOTICE AND CALCULATE MY REMAINING COST? Once you complete your FAFSA and no other information is required, you will receive a notification that your award has been provided to you. 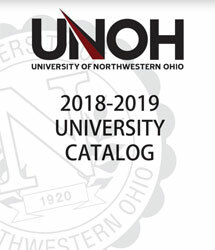 You will receive an email to your UNOH email account and you will receive a postcard. This will direct you to your Financial Aid Dashboard at my.unoh.edu where you can access your Award Notification. The Award Notification will provide you information pertaining to your eligibility each term and for the Academic Year. You will notice a link to aid you in understating if you have sufficient aid called “Calculate my Estimated Cost”. You can then determine if you need to borrow any additional loans or seek alternative funding. WHAT DO I NEED TO DO FOR MY FEDERAL DIRECT STUDENT LOAN? $138,500 for graduate or professionalstudents. Currently, the fixed interest rate for Subsidized and Unsubsidized student loans for Undergraduates is 5.05%, and the fixed interest rate for Unsubsidized student loans for Graduates is 6.6%. If you wish to use the Federal Direct Student Loan, you must go to www.studentloans.gov and complete Entrance Counseling and the Master Promissory Note. Instructions are available here. WHAT OTHER LOAN OPTIONS ARE AVAILABLE BESIDES THE FEDERAL DIRECT STUDENT LOAN? If grants, scholarships, Federal Direct Student Loans, or other eligible funding is not sufficient to cover all of your educational costs or needs, you can apply for additional loans. There are two options: The Federal Direct PLUS Loan or Private Education Loans. Loan application instructions are available below.